The YVSCE was incorporated in March 2009 after being in operation for about 3 years. It all started with two groups: a group of enthusiastic swing dance "kids" down in Zillah and another group of friends in Yakima who would dance on First Fridays at the Terrace Heights Civic Center. When the two groups joined up a scene was born and has been operating non-stop ever since! First Friday dances were everything. A big, successful dance brought in about 60 people; we thought THAT was crowded! Lindy Friday was kicked off even when no one knew how to lindy. 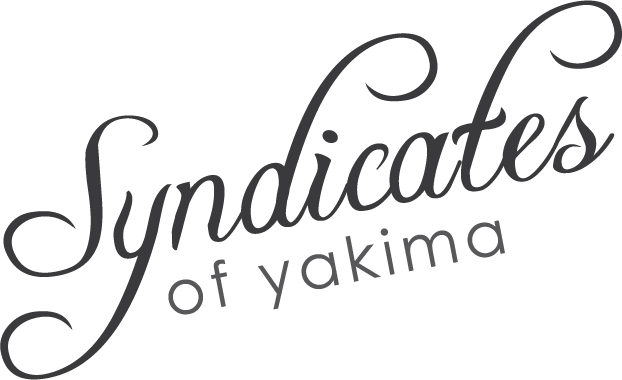 Our name changed from the Yakima Swing Dance Society to The Syndicates, which made room for the Music Syndicate, the Theater Syndicate and the Culinary Syndicate as well as our dance scene, all housed under the YVSCE. Also in 2009, our group created and filmed the Easy Thriller Dance, which has been used by groups all over the world since! This was a big year for The Syndicates! It was the start of our Small Group curriculum that launched with the Black Ops group which performed on stage with the Yakima Symphony Orchestra. Since then there have been more than 20 small groups with projects as varied as the young men and women who participate. We also received our 501(c)(3) tax-exempt status from the Internal Revenue Service. Middle Friday was born, bringing the scene back to the jazz roots of the 1940s and 50s. It also runs until midnight, which means an extra hour of dancing! 4th Fridays began and were catered to dancers about ages 40-60. Some called it "Old Friday", but it soon turned into "Lesson Friday". The board also developed it's mission, vision and values for the organization along with help and direction from an international business coach and the original founders of the YVSCE. The Syndicates launched their community platform known as Growth Groups and later referred to as Cells. See the launch video here. These growth groups focused on our members reaching goals and setting their life direction. Third Floor Swing kicks off at the Hop Nation Brewery! We also celebrated our 10th Annual Christmas Dance! Mission: To use the arts to create effective discipleship communities that build leaders who prevail in every sphere of their lives. Vision: To be the dominant creators of Kingdom culture in every community. Art has the ability to express truth and beauty. We additionally value art as a powerful influence that can be used to build relationships and create moral culture. The Syndicates use art, dance, music, theater, fashion and food to bring people together and help them experience a culture of honor. We take our leadership example from Jesus, who, knowing his mission well, served and empowered those below him to succeed him, adding value and longevity to his mission. We take risks on new leaders, mentoring, equipping and empowering them towards success, giving them mission-critical responsibilities. We honor and develop our leaders. We value a strong community of honor and respect as exercised in the Matthew 18 process. We challenge men that honoring a woman is worth fighting for. We encourage women to gain security and self-worth, which in turn empowers them to respect and honor men. We demonstrate unconditional love through humility and vulnerability while maintaining a high level of accountability and low level of judgment. Personal growth and pursuit of betterment are essential. We don’t settle for mediocrity, but relentlessly raise the standard for excellence, creating innovators who look for possibilities at all times and push forward with optimism. The future is fabricated with ideas yet realized. We are biased toward taking action rather than simply thinking and talking about change. We overcome status quo by encouraging, equipping and supporting individuals to think outside the box and step into action. We value learning through active experience and believe that great faith with motion will always produce results.